AWESOME Book and Author Games from Harper Collins! Help Amelia find the hidden words. Play the Big Words for Little People spelling game! FUN Interactive Quizzes on National Geographic Traveler Website! Today I came across a really cool resource on National Geographic Traveler! They have created several interactive quizzes on different topics like Pirates, Chocolateering, Toys, and other fun things! I just took a quiz on SNOW since we already have 27 inches of snow here in Van Meter! :) Click here to take the Ice and Snow Quiz. Underneath that quiz, you will see the links for the other quizzes as well. CHECK OUT the Diigo Libraries From VOICE! Happy Holidays Everyone! I hope you are all having a fun break and great time with your family and friends. Over break, I have been putting together SUPER lists of websites and online resources for students in my Diigo Library. Diigo is a social bookmarking Web 2.0 tool, which is a great way to collect and share sites you find. On the Van Meter Library VOICE website I have made a page just for my Diigo Library and you can find it HERE. Diigo V3: Highlight and Share the Web. Social Bookmarking Web 2.0 Tool! GREAT Diigo Lists to Check Out from VOICE! Web 2.0 Tools to Use With Images! I am so excited to be on Christmas break and to spend time with my family and friends. I take a lot of photographs during the holidays to capture all of the fun memories. It is a great time to check out some of the free Web 2.0 tools that have been created to use with your photos and other images. 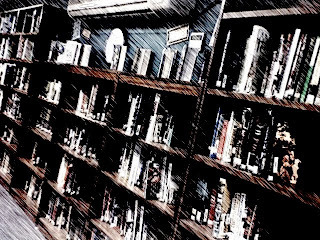 This morning I spent a little time adding a few more image Web 2.0 tools to the Van Meter Library VOICE Google Site under the "Image, Sound, and Movie Resources" page. Aviary provides photo-editing, logos, web templates, sound editing, color palettes, screen capture and more. befuddlr lets you create a drop and drag jigsaw puzzle from an image or your own photograph. It is also fun to use if you just want a mixed up picture. befunky turns your images into artwork with a single click! Hockneyizer creates unique photo collages from a single photograph. MagMyPic lets you create magazine covers with your picture. MapWing is a free virtual tour tool to use with up to 20 images. You can share your MapWing tours with others and check out what where they are going too. Motivator lets you create motivation posters from your photos or other images. Mypictr - Allows you to quickly cut a small portion out of any picture you care to upload. Phoenix - a new kid on the block. This image editor has some advanced tools and solid sharing features. Think of it as a middle of the range tool, simliarities to Picnik. PhotoFunia is an online photo editing tool that gives you a fun filled experience. You upload any photo and just wait to see the magic. Our proprietary technology automatically identifies the face in the photo and let's you add cool photo effects and create funny face photo montages. PIC-LITS is a creative writing site that matches beautiful images with carefully selected keywords in order to inspire you. The object is to put the right words in the right place and the right order to capture the essence, story, and meaning of the picture. Picnik upload your own photos and add effects, text, frames, stickers, and much more to them. Then save and use where you want. My Posterous has one I created. Pixlr - Comparable to Sumo, Pixlr is a full featured image editor. It's very accessible, and if you have experience with Fireworks or an equivilent product, then you'll pick it up very quickly! Repper is a free to use pattern creator that yours your images into amazing designs to use in backgrounds of applications. Resizr - Resize an image you've copied from the web quickly and easily. Scrapblog is an awesome online scrapbook tool that lets you add tons of backfounds, stickers, text, and other effects. Once you have created your Scrapblog you have the option ot save, publish, or export it to use for a variety of purposes. TiltShift Maker lets you create the illusion of life in miniature with an image or photo of your own. Tuxpi provides 38 photo effects and tools to apply to images and photos. Shape photos, wanted posters, puzzle pictures, and various picture frames are a few of the featured effects. This is the List that I created in my Diigo Library for Brain Games! Check out this list! You will find a lot of cool websites that you will like. This is the List that I created in my Diigo Library for Elementary Brain Games! You will love all of the websites that I put into this List! NEW Van Meter Libraries VOICE Google Site! I have some exciting news! We have a new Van Meter Libraries VOICE Google Site! VOICE will be the home of our elementary and secondary libraries. On this website you will be able to find just about anything that has to do with thinking, creating, learning, viewing, searching, accessing, listening, reading, and of course BEING HEARD! The Battle of the (Kids') Books brought to us by School Library Journal is a SUPER FUN place to go to read about great books just for you! It was a competition between 16 of the very best books for young people published in 2008, judged by some of the biggest names in children's books. Go to this blog to check out the winners and read some great discussion about these books! SCREENR! Try Out This Awesome Web 2.0 Tool for Twitter! Twitter! Tweet! Hoot Suite! Retweet! TwitThis! Twitpic! Mov.io! Tweet Deck! Well I am so excited to feature a new one that I just learned about while reading my Diigo bookmarks of the day! p.s. It might be a great day to get your own Twitter and start to be heard through your Tweets too! Another Snow Day! What to do now! When I woke up this morning, I could hear the wind and knew that the weather might now be good enough to have school again. By 8:30 am, school was cancelled and we were wondering what to do in our house. My son is reading The Lightning Thief by Rick Riordan and loves the first book of this popular series. But my daughter and I wanted to find a few new books for these days at home and our break coming up. I love going to teenreads.com to read about new books, authors, and all the news in the literary world of young adult books. You can sign up for their online newsletter which is a great way to keep up with this site. I also like how they include the covers of the books and that it is written for young adults. There is also a page called "Videos and Podcasts" which is a fun place to watch new book news from authors and others. Also, Barnes & Noble Teens. It gives GREAT reading ideas by featuring new releases, teen favorites, series, award books, and much more. I especially like how the books are put into popular catergories. For example, today there are several books featured under the heading "Dark Romance....Books for the Lovers of Super Natural." If you liked the Twilight series you will find a new book under this heading for sure! And of course the best way to learn about books to read is by listening and talking to others. There isn't a day that goes by in our library at Van Meter that I don't hear about 4 or 5 great books to read. This is one of the best parts of my job as a teacher librarian. And of course I want to keep the VOICES coming in our library! :) Thanks for sharing everyone. Have a wonderful safe day at home and enjoy some quiet reading and sharing today. With the end of the year coming, there have been several Best Books of 2009 lists released in the last few weeks. I LOVE looking through these lists because they give me ideas on new books to read and get for our libraries. Here are a few of the lists....I hope you can get some new reading and book ideas too! Please let me know if you see a book that you would like to read. We can add it to our list of books to get for the library. Vote for the Goodreads Choice Awards! Tonight on the Goodreads Choice Award website they announced that it was time to vote for our favorite books of the year. Go to Goodreads Choice Award interactive ballot here and help choose the five-star books of 2009. They used statistics from the site to create Top 10 lists in multiple genres. Vote for your favorites and help select the Goodreads Choice Awards for 2009. The winners will be announced in the January newsletter. Goodreads is the largest social network for readers in the world. They have more than 2,600,000 members who have added more than 64,000,000 books to their shelves. A place for casual readers and bona-fide bookworms alike, Goodreads members recommend books, compare what they are reading, keep track of what they've read and would like to read, form book clubs and much more. Mrs. Miller's user name is Shannon. Check Out These NEW Van Meter Student Blogs! Every morning when I get up I read several blogs that I subscribe to in my Google Reader. For the last couple of weeks I have had three new ones to read. And the most exciting thing about these blogs is that Van Meter students have created them! Hear Us Read created by 7th graders Sarah and Jennifer features authors, books, and reading! VM Web Watch: What You Read Now, Is What We Were Then! created by 7th graders Ali and Summer is featuring the girls VOICES through their journey in technology. We Talk created by 5th grader Emma is going to feature the 4th and 5th graders VOICE through book talks, news, and projects. I have created a new box on the side of the VOICE blog to list Van Meter student blogs so if you have one and it would like it to be featured too just let me know. Excited to announce a new student blog! It is a Snowy Day outside, just like one of my favorite books. :) In the morning when we all get up to welcome the first Snow Day of the school year, I will read that to my son Hagan. I will also take a look at something new! It is the newest Van Meter student blog called We Talk created by blogger Emma D. This blog will hold book talks that the 4th and 5th graders are going to create in the Mac computer lab. The students are writing their book talks in December and the day we get back from break will start the production of these book talks. Emma and her classmates will be adding lots of neat products to We Talk in the next few months. You can find We Talk here! Have fun following their project on this blog and in the library.